Update your street style with the effortlessly cool HUNNI. 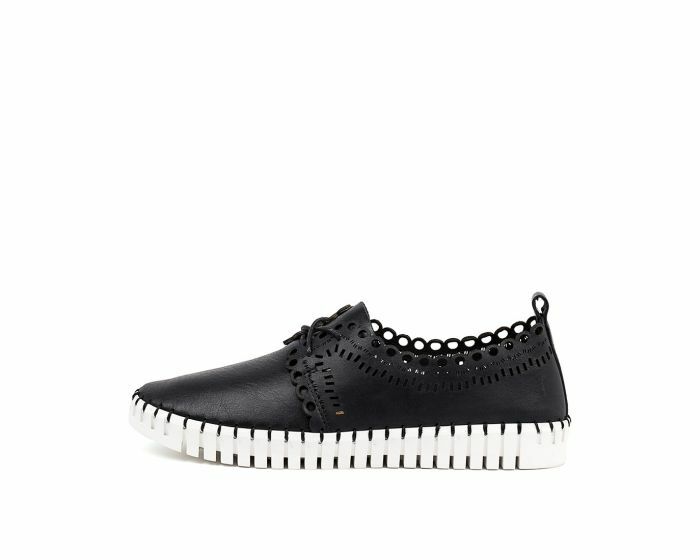 Fusing the comfort of sneakers with the casual sophistication of brogues, the laid-back feminine pair is made from soft laser-cut leather set upon cleated rubber soles. Wear them with everything from floaty dresses to denim.